Every autumn, duck hunters head for shooting spots on wetlands and waterways. They use decoy birds, duck callers, dogs and maimais to help them nab their prey – later to be served up for dinner, often roasted, with gravy or orange sauce. Māori hunted native paradise shelducks and grey ducks for meat and feathers, especially in late summer when the birds were fat from feeding. European settlers introduced more than 20 species of game birds to New Zealand, but not all survived. Mallard ducks and Canada geese became established. Laws were passed to set a season when ducks could be hunted – today, this is from May to July for most species. Many wetlands, where ducks lived, were drained so the land could be used for farming. However, mallards and paradise shelducks do well on open farmland. Today, some organisations – including duck hunters – are working to restore wetlands. The duck-hunting season starts each year on ‘opening day’, the first Saturday in May. This is when most hunters take part and most birds are shot. Hunters head out to their shooting spots in the dark, and shooting starts at dawn. 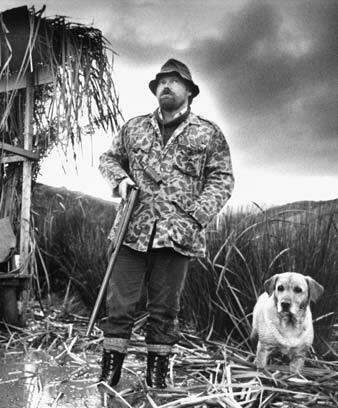 Ducks and geese have good eyesight, so hunters must hide – often in a maimai (a hide, usually made of wood, corrugated iron and mānuka brush). They also wear clothes that camouflage them. Decoy ducks – fake birds made from wood, cork or plastic – are used to attract ducks. Hunters also blow on instruments which mimic the birds’ calls and make them think it’s safe to land. They use shotguns, and dogs bring back shot birds that have fallen into deep water or bush. After a day’s shooting, the hunter has to clean and oil the gun, put away gear, and pluck and dress the birds. Ducks are often roasted, and eaten with gravy or orange sauce. Fish and game councils monitor species numbers. They set bag limits (the number of birds that can be shot) and the length of the hunting season. They also work to improve wetland habitats where ducks live. Since the 1990s, fewer people are hunting ducks – perhaps because of the loss of wetlands, the costs of the sport, and more interest in city activities.